Please carefully read, complete, and sign this form. Please initial each section in the provided spaces to indicate compliance. You will need a witness or parent / guardian present to complete this form. 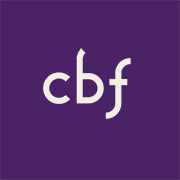 The completed will automatically be submitted to the CBF Short Term Volunteer office.  I hereby request permission to assist as a short term (volunteer) worker, in the charitable and religious work of Global Missions of the Cooperative Baptist Fellowship (the “CBF” or “Fellowship”), a non-profit organization. I understand that in rendering such assistance, I shall under no circumstances be deemed an employee of the Fellowship for any purpose, and furthermore, understand that all expenses incurred during said short term work will be the responsibility of each participant not the responsibility of the Fellowship. I understand that certain dangers that result from my travel in the pursuit of short term mission service are unforeseeable, such as illnesses/injuries without access to adequate medical facilities for treatment, or political unrest that may result in injury, imprisonment or death. Accidents may occur with no advance notice. Hostilities may result in my being held hostage, or being stranded and not being able to return to home. I understand that this list of dangers is not comprehensive. I understand that the dangers are beyond the control of the Fellowship and/or ministry partner, but I still desire to participate in this mission endeavor. I recognize that the Fellowship’s policies may, and/or the situation itself prohibit it from intervening on my behalf should a calamity arise. I recognize that the Fellowship will not pay any amounts to remedy my situation, including the payment of ransom or bribes. In consideration of the grant of permission by the Fellowship, I hereby request, I agree that I shall perform such work at my own risk. I recognize most United States insurance policies do not cover me outside the United States and that I am responsible for securing medical insurance to cover my activities on the trip beyond the minimal travel insurance. I also understand that the Fellowship has made short term international travel insurance options available to me for purchase. The purchase of these services will be at the expense of each participant. I agree to be liable for any expenses that are incurred, including but not limited to early return expenses, uninsured medical expenses, medical expenses not covered by the purchased insurance and emergency evacuation. I understand that traveling, living, and working abroad may present health risks. I also agree to take necessary precautions before and while traveling, including but not limited to appropriate inoculations and vaccinations. I acknowledge that it is my responsibility to determine which inoculations and vaccinations are required and that I have received all such required treatments. I, for and in consideration of being permitted to participate in the mission of the Fellowship as a short term (volunteer) worker, do hereby acknowledge, hereby waive, release and forever discharge the Fellowship, of and from all manner of actions, causes of action, suits, debts, covenants, contracts, agreements, promises, claims and demands whatsoever, which I have, or which my personal representative, successor, heir or assign, can or may have, against said Fellowship, by reason of or related in any way to my participation in the mission sponsored by the Fellowship. I agree to indemnify the Fellowship from all liabilities arising in favor of third parties resulting from my conduct while serving as a short term worker on a mission experience, preparing for a mission experience, or traveling to and from a mission destination. I also waive any right to assert any claim against the Fellowship or its agents with respect to work performed or any injury, illness or loss which I or any minor child or other person who is dependent upon me may sustain in the course of, or which arises out of, such short term work or such accompaniment. I waive any such claim both for myself and for any such minor child or other dependent person. I hereby grant the Fellowship permission to use, reproduce, and/or distribute photographs, films, video, and sound recordings of me or my child without compensation or approval, for use in materials created for purposes of promoting the activities of the Fellowship, including the internet. In conclusion, I understand that the Cooperative Baptist Fellowship and its associates do not assume any responsibility for loss of property, damage to the same, personal harm, or illness that may come; and I, for myself, my heirs, executors, administrators, distributees, and assigns, in consideration of my admission to short term service and other good and valuable considerations, do hereby absolve said Cooperative Baptist Fellowship and hold said institution and its associates harmless from any claim or demand which I or they might conceivably assert upon the basis of foregoing by the submission of this document. I also understand that a criminal background check will be required and performed for short term service consideration. All incurred fees will be the responsibility of the applicant.